What a welcome treat to be transported from exam-season Lancaster University to an all-singing, all-dancing, American college equivalent. With pink! 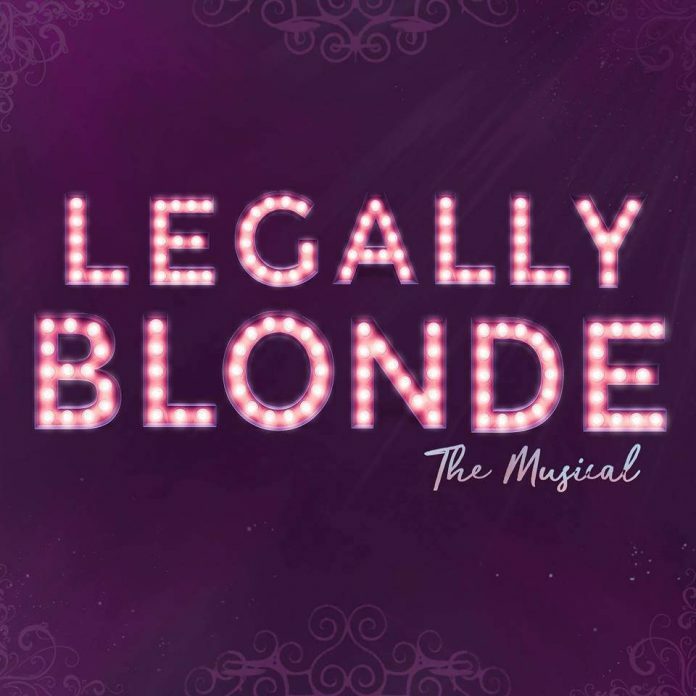 The expertly reimagined Legally Blonde by the combined forces of the Lancaster University Theatre Group, the University of Lancaster Music Society, and Lancaster University Dance, was delivered with confidence and experience which belied the young, student cast. The musical follows Elle Woods’ journey from UCLA homecoming queen to Harvard Law School Valedictorian, and Lucie Mills offered a commanding triple threat performance. Her vocals were particularly strong, rescuing some at time wobbly choruses and assuredly demonstrating her range by soaring above the rest of the ensemble. She should also be commended on her quick costume changes – one on stage! – and convincing use of props. The other leading ladies helped carry the show too. Molly Hirst was well suited to the charming Paulette. Her on-stage development following Bend and Snap was fun to watch, as was her own burgeoning love story with Kyle the UPS guy. Bethan Stephens as Brooke Wyndham opened the second act with athletic vigour, and she should be especially commended for holding an upside-down splits while her fitness DVD was paused by her legal team. The discovery of her shared sorority sisterhood with Elle was a charming and pivotal moment. The main male characters were well played too, particularly Tom Wells’ Emmett Forrest and the indomitable Robbie Love’s Professor Callahan. If there was one thing to work on for future performances, the lead male vocals could have been more certain in tune and timing. Wells has delivered in this area strongly before in Parade and in the Moulin Rouge charity showcase earlier this year, so it was surprising to see him struggle at times with the music. His acting and resounding warmth as Emmett more than made up for this. The main characters were good, but the show would have been nothing without the ensemble and big numbers. The daughters of Delta Nu opened the show with great passion and energy, and provided useful segues while the plot progressed. The choreographers should be applauded for their challenging and dynamic sequences, which were well performed by the cast – in time and together. Elle’s in-head chorus were strong, as her loyal cheerleaders and best friends. The intermittent incursions from the dual-roled frat boys were entertaining and well timed. The music was performed live by a talented and compact pit band, expertly directed and conducted by Alex Hardgrave. From the loud and brash What You Want and So Much Better, to the delicate and precise Ireland and Daughter of Delta Nu, the orchestra were well-rehearsed and produced powerful sound. The nerves from the first night have clearly settled, and inaccuracies should hopefully be ironed out before the run finishes. The reprising Oh My God! was fun and clearly a favourite. The only place to improve here was on the occasionally exposed woodwind and high brass, and in matching up melodies with singers. In terms of sound, poor levelling unfortunately detracted from certain key moments and lines, notably during Elle and Warner’s proposal/breakup. The staging and production, like many other LUTG creations, was innovative and versatile – making full use of the space available in the Nuffield Theatre. Also, outfits and clothes being such an integral part of Elle’s life, her and the other characters’ costumes seemed authentic and appropriate. The lighting created several different moods and atmospheres, but spotlight cues could have been fractionally tighter, again distracting from seminal moments. Overall, the directors and managers from all three societies should be praised for drawing together such a large group of performers and crew. The performance was spirited, and contained several standout performances by groups and individuals. Good luck for the rest of the run, and congratulations on the weeks and months of hard work in planning, organisation and rehearsal.